Summary: Why were the Easter Island heads erected? 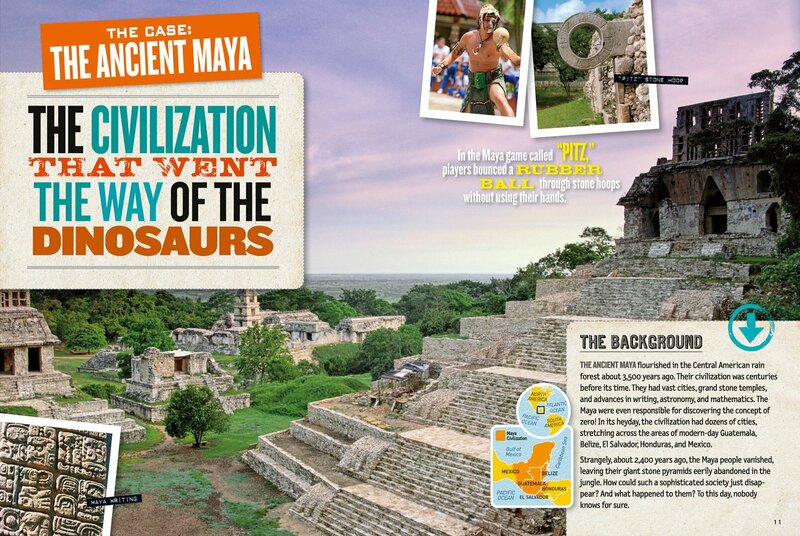 What really happened to the Maya? Who stole the Irish Crown Jewels? The first book in this exciting new series will cover history’s heavy-hitting, head-scratching mysteries, including the Lost Colony of Roanoke, the Bermuda Triangle, the Oak Island Money Pit, Stonehenge, the Sphinx, the disappearance of entire civilizations, the dancing plague, the Voynich manuscript, and so many more. Chock-full of cool photos, fun facts, and spine-tingling mysteries. 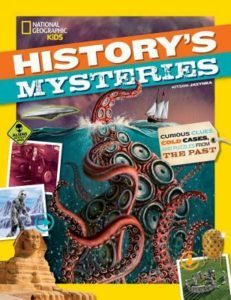 Review: I feel like a broken record, but I just feel like it needs to be repeated: National Geographic Kids are publishing some truly phenomenal books for kids to read independently and/or for teachers to use in the classrooms. This one is no exception! It is beautifully structured with each mystery being shared with background, more details, clues, and theories along with illustrations and photographs. 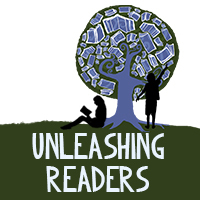 It is broken up into 7 chapters with mysteries all within the chapter around a specific topic. The chapter topic’s are: vanished civilizations, unexplained deaths and disappearances, creatures of myth and legend, freaky phenomena, mystifying monuments, cryptic codes and lost languages, & treasure troves. Teachers’ Tools for Navigation: I felt very similarly about this book as I did about What Would Happen?, another National Geographic book–I just want to bring it into a classroom and let kids just inquire about any of the mysteries that tickle their fancy! How much fun it’d be to just allow students to get obsessed with a mystery then share it with their classmates. Which mystery do you want to do more research on? [For each mystery] Do you agree with the theory shared? OR Which of the theories shared do you agree with? What other mysteries would you like to learn more about? 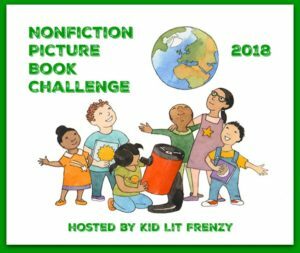 Stop by Kid Lit Frenzy to check out the link up of other Nonfiction Picture Book reviews! National Geographic just doesn’t stop creating these wonderful books, does it? These look great and so interesting. I hope teachers will be able to get many to use in their classrooms. Thanks, Kellee. I love these books too, so great for kids who don’t like to read.